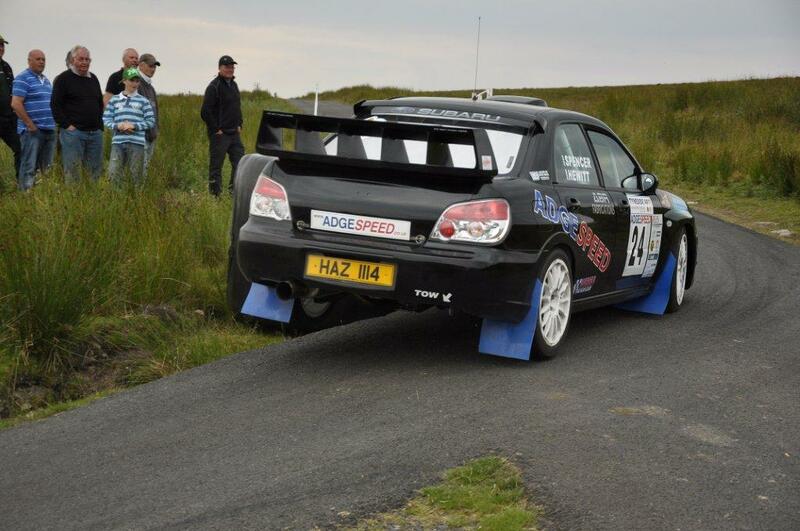 Last weekend team Adgespeed were back out for round 6 of the REIS MSA National Tarmac Championship. Held over the daunting ranges of Otterburn in the North East of England. Having missed the last 3 rounds due to saving for a new gearbox, Adrian and Mark were keen to get back in the action at one of their favourite venues. Although the new gearbox was not ready in time, they carried on with their existing one, in order to get much needed action after their recent lay-off. The day dawned bright and sunny and having had a good recce, the rally was on. Stage 1, a 9.14 miler and the boys set off at a pace, but only 1/2 way through a turbo pipe came adrift causing a huge loss of power. Taking as many risks as they could they got to the end of the stage with as little time loss as possible, albeit with a puncture and 2 wrecked rims from taking too many big cuts in order to keep the speed up. With the time lost they had dropped to 40th O/A. With a service before the next stage the crew fixed the turbo pipe and replaced the damaged wheels and Adrian and mark set off again. Stage 2 was a repeat of stage 1 in more ways than one, as the turbo pipe came off again after only a couple of miles. After the time lost again Adrian and Mark found them selves down another place at 41st O/A. Stage 3 an 8.97 miler followed with no service, so Adrian stripped the pipe down again and getting to the bottom of the problem reassembled it only losing a few minutes of allowed lateness, to start the stage with fingers crossed that it wouldn't be 3rd time unlucky. Adrian and Mark blasted into the stage and with the pipe now fixed set the 6th fastest time. This moved them up to 32nd O/A and looking at the times a top 10 was a possibility assuming no further problems. A short service and Adrian and Mark headed out for stage 4, a repeat of stage 3. Completing the stage 3 secs faster than the 1st run and 7th quickest time they moved into 24th place. With the car now running faultlessly and the 9th quickest time over stage 5 a 9 miler, Adrian and Mark moved up to 16th O/A. At this rate it was starting to look like a top 10 position was a genuine possibility, a service followed and with only a spanner check and refuelling, they headed out for stages 6 and 7. With good runs over these stages Adrian and Mark had moved up to 11th, 20 secs behind 10th. Another top ten time and they had reduced the gap to 11 secs going into the longest stage of the rally at 16.87 miles. It was all or nothing, as they sped through the stage eventually taking 23 secs off the car in 10th place to make it their own. Adrian and Mark were elated to have got 10th O/A after the problems on the 1st 2 stages after consistently set top 10 stage times. They also finished 2nd in class and Adrian moved up to 3rd in class and Mark 2nd in class in the championship. 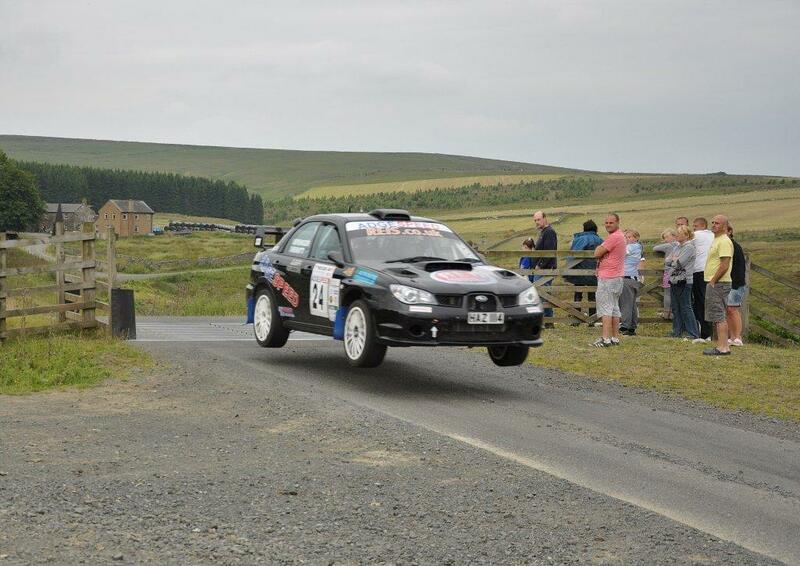 Adrian and Mark are now looking forward to the Mewla rally, when with the new gearbox fitted, they can improve again. Photos courtesy of Ian Bell.